Wow, I was not expecting this when I picked this book up, at all. 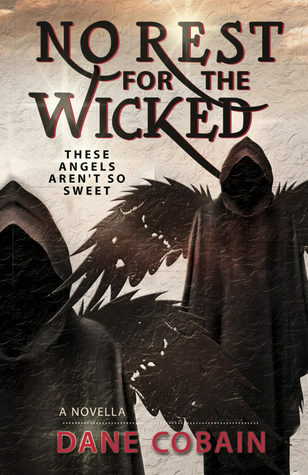 I read the cover "These angels aren't so sweet" but damn I did not expect that. I have to say that I have now become a fan of Dane Cobain because this book was great. It only took me a few hours to read this thrilling book because I could not put it down. I had to know what Father Montgomery was going to do next and what was gong to happen next. It was a short read which with this book I didn't like because I wanted more. There were times when I wanted a scene to go deeper into what was happening. I really liked Father Montgomery's character a lot. I felt like he was needed in this apocalyptic world and I hope he'll be in ours. I highly recommend this book to anyone that likes a dark, thrilling, end of the world type book. That has angels as the bad guys instead of being the good guy.